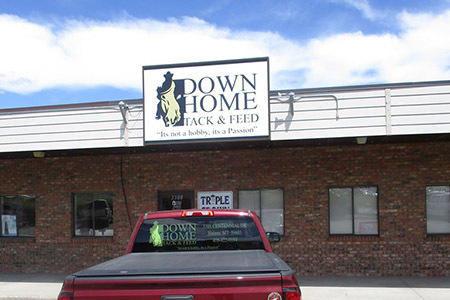 For the finest horse tack and feed, turn to Down Home Tack & Feed LLC. We serve our customers with the very best products, including saddles, general tack, accessories, rodeo supplies and more, including grooming accessories and other livestock supplies. As passionate equestrians ourselves, we’re committed to you and your horse. Every horse owner, rancher or show riders knows the importance of having the right horse supplies in Helena, MT. Everything from a comfortable saddle, to eye-catching tack, to quality grooming supplies makes all the difference in how your horse looks, feels and performs. At Down Home Tack & Feed LLC, we’ve been working with horses for decades and have always prided ourselves in recognizing quality tack and equine supplies. Today, we’re doing our part to bring these items to our customers through our custom tack shop and feed store in Helena, MT. We’ve cultivated the finest products from the best brands and pride ourselves in bringing them to you! We can even custom order items so you can make sure your horse is getting exactly what it needs. Our tack shop in Helena, MT is stocked extensively with just about anything you could need or want. Come to us for horse riding essentials like saddles, bridles, reins, blankets and more, as well as Western and English tack and rodeo equipment. Looking for feed? We’ve got that too! We carry a large variety of livestock feed for goats, horses, cows, sheep and more—even dog and cat food! With competitive pricing and a highly knowledgeable staff that’s dedicated to you and your animal, you can’t go wrong shopping with us! Our inventory is always growing to include the best in horse tack and other products. We also offer special custom ordering if there’s something you like that we don’t have! We offer free shipping on all saddles and orders over $99! Let us get you a saddle you’ll love for a great price. We try to stay active in our community through donations and sponsorships, including the local Barrel Racer. We’re even working on a mechanical horse for the kids! Our store is locally-owned and -operated, with deep values in customer satisfaction, honesty and integrity. We’re passionate about horses and are experts in all things related to them. 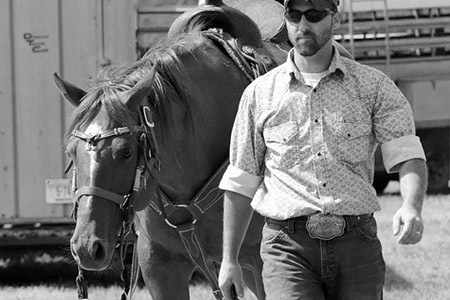 We have extensive experience working on ranches, at rodeos and with horse training. Looking for quality horse tack and feed at great prices? Shop with us and get the supplies you need, from some of the best, most reputable brands. We even offer special ordering!